Sometimes cooks get hung up on not being able to make a dish properly because they are missing an ingredient. I remind myself and my colleagues that when the dish was made for the first time it was just that person’s impression of how THEY thought it should taste. It doesn’t mean it is set in stone until the end of time! You can selectively omit and recreate! It took me a while to realize that there comes a time when you stop playing by the rules; following recipes by the book. 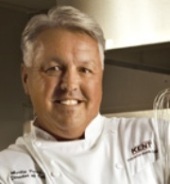 Sometimes cooks get hung up on not being able to make a dish properly because they are missing an ingredient. I remind myself and my colleagues that when the dish was made for the first time it was just that person’s impression of how THEY thought it should taste. It doesn’t mean it is set in stone until the end of time! You can selectively omit and recreate! It is important to understand how ingredients complement each other, and then go to town creating your own unique, tasteful memories. Experiment! Obviously there are dishes that are classic in everyone’s mind: pot roast, mac n’ cheese, spaghetti, chicken noodle soup, fried chicken, mashed potatoes and of course apple pie. Comfort foods get their reputation from the whole dining experience, not just the way it tastes. Biting into a slice of apple pie might bring back memories of your grandma’s apple pie served at her dining room table but for someone else it will be a different experience altogether. Don’t let “comfort food” pin you down! In my experience, people like culinary twists to old favorites. I love to experiment in the kitchen. My wife is always amazed on days that we have nothing in the pantry, or so she thought, and I come up with a dish that she enjoys eating. She will ask me what the dish was called and my response (and dead giveaway that I experimented) is “Anything you like…I made it just for you.” Chefs know the way to a woman’s heart is through her stomach! I love that young chefs are being given “market baskets” as part of their testing. It reminds me of the story of how the first Caesar Salad came to be. I believe in simplicity, I am not overly impressed with chefs putting dishes together with twenty ingredients. That kind of culinary snobbery tends to confuse the pupil in understanding what is complimenting what. With summer just around the corner, I am reminded of a couple of cool ideas that I have tasted lately that have given me a WOW moment: watermelon and basil and cantaloupe and lime juice. Unique flavor combinations are gaining in popularity. A recent Technomic report asked 1500 consumers how appealing they found 12 different flavor combinations both in 2009 and in 2013. Eleven of the 12 saw rise in their popularity in 2013. Tomato-basil received the strongest reception followed by honey-ginger. The next three top favorites were chipotle-lime, rosemary-orange and mango-habanero. 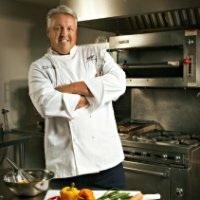 Foothill Farms and I have created new recipes; blending unique flavors to create delicious, appealing dishes, dressings, sauces, and salsas. Food should be fun! You shouldn’t be judge on how close you got to copying someone else’s effort.